Wij werken altijd met het flexy gamma van Ewon omwille van de scaleerbaarheid, de robustheid en de beveiligingscertificaten. By choosing the eWON Flexy 201 base, you limit the need to include an additional switch in the pane. 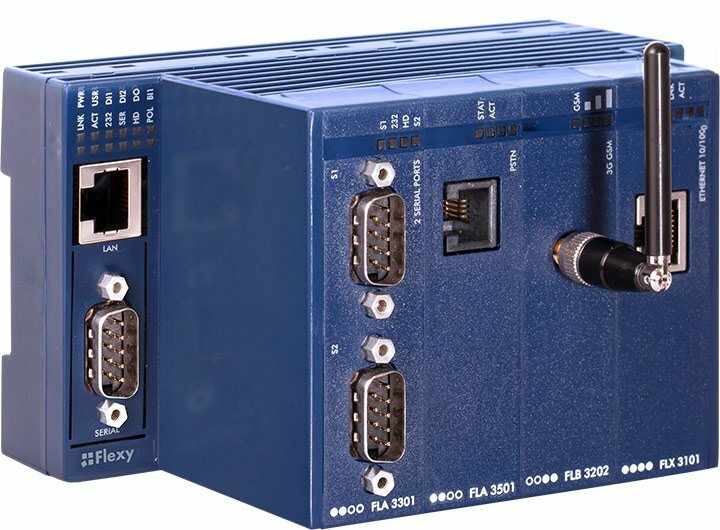 By choosing the eWON Flexy 203 base, you will have access to large PLC support over MPI. The LAN network represents the most economical way to connect your remote site or device to the Internet. 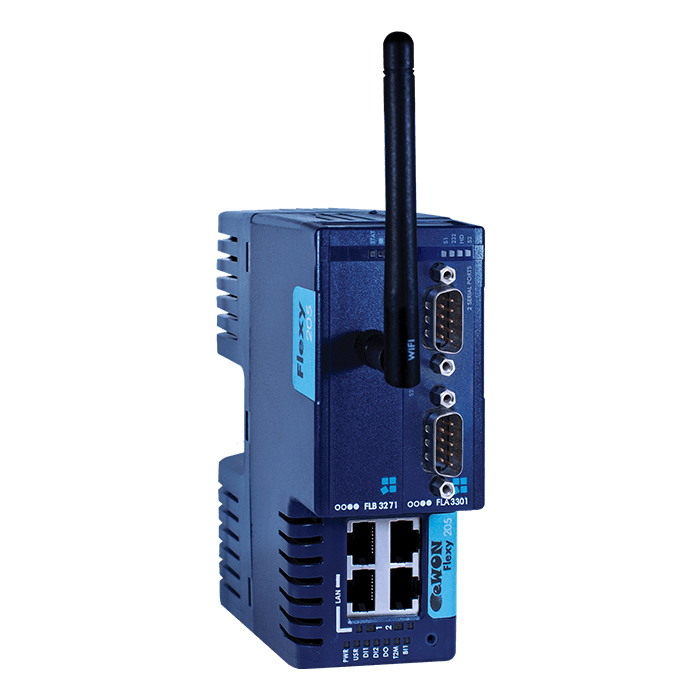 WLAN access points allow internet connectivity while avoiding connection on the factory/corporate LAN network. 8 digital inputs, 4 analog inputs configurable in voltage or current and 2 digital outputs for a wide variety of applications. The 3 port USB card is a 2.0 version at full speed and can pilot up to 10 USB connections. This extension card is the perfect link for any MPI PLC, providing transparent gateway functionality between the ISOTCP and the MPI/Profibus (S7) protocols.